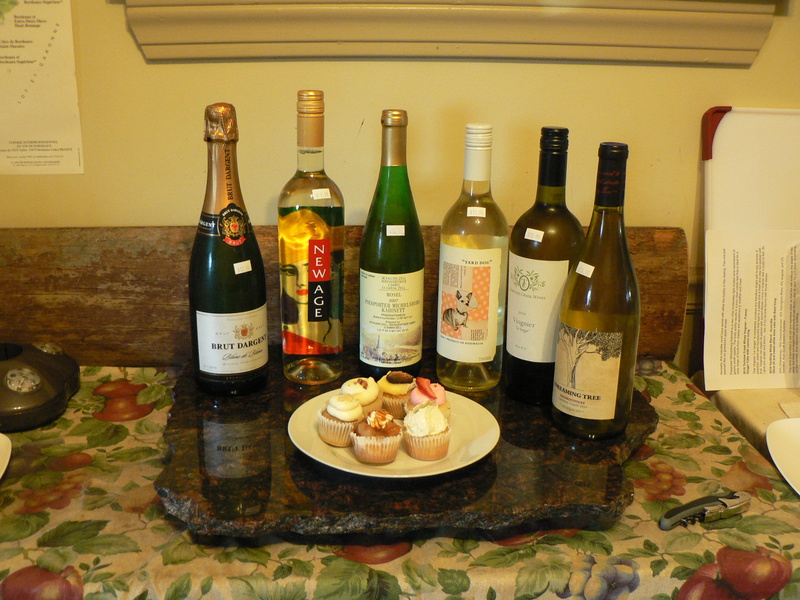 On a gorgeous Cleveland Spring evening, wine lovers gathered at The Olde Wine Cellar for an Ode to Spring, White Wines and Cupcakes on the deck of the wine shop. We were not disappointed with warm weather and a slowly setting sun. 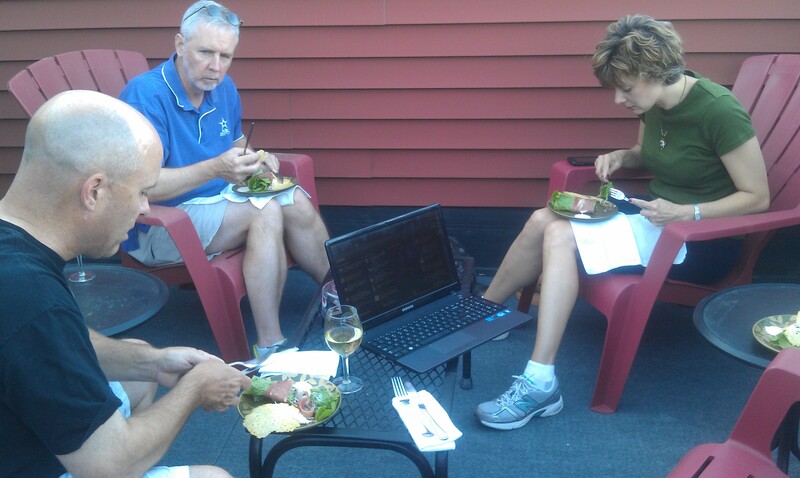 So what were we oohing and ahhing over on this beautiful evening with friends and strangers gathered to taste? How can one resist the urge to begin a tasting on one of the earliest warm days Cleveland has seen by sipping on some sparkling wine? We toasted to a new season with the very affordable and tasty Blac de Blancs from the Jura region on France. This 100% Chardonnay has light effervescence, slight hints of crisp green apple and pear, a bit of mineral and some touches of buttered brioche at the finish. Nice value.We paired this with the strawberry custard as a pleasing blend of light fruits. Champagne (or sparking, because even though French, this is not from the Champagne region) blends beautifully with fruits of all kinds. Think strawberry, apple, kiwi, peach… and of course you can easily add in the chocolate! From one of Argentina’s most famous wineries – Bodega Valentin Bianchi, 90% Torrontes, 10% Sauvignon Blanc. The New Age is not your typical Torrontes, so if you are a huge fan, the effervescence may be a little shocking on your palate. 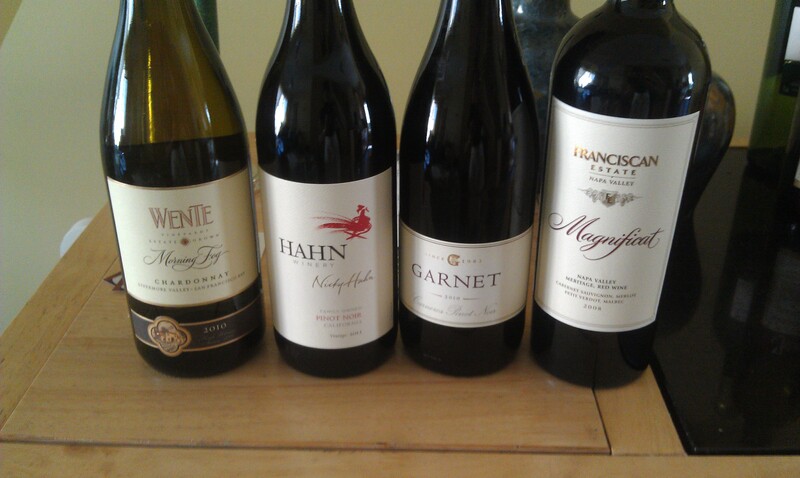 That being said, for inexperienced wine drinkers, it is a great way to introduce your palate to a new grape. And if you like sparklings in general, you will probably find this to be a budget friendly one off from your usual bubbly. Honestly, this cupcake could have paired with either the bubbly or the riesling. This wine and cupcake together just seemed like grandma’s apple strudel. Piesporter Michelsberg Kabinett is a very crisp moderately light bodied wine reminiscent of granny smith apples. The lively acidity results in a juicy clean palate feel that is ideal for a wide range of foods from cheese and appetizers to shellfish and meat. There are so many variations on the theme when it comes to Riesling, this is your slightly off dry, slightly more acidity version. And it was a crowd favorite on our Spring evening! This Viognier, “Le Verger” is completely unoaked and therefore bright with lovely aromas of peaches, pears and honeysuckle that lead to a palate that is fresh and crisp but packed with fruit. Viognier can easily be paired with spiced dishes. I love a viognier with a sushi or fish. 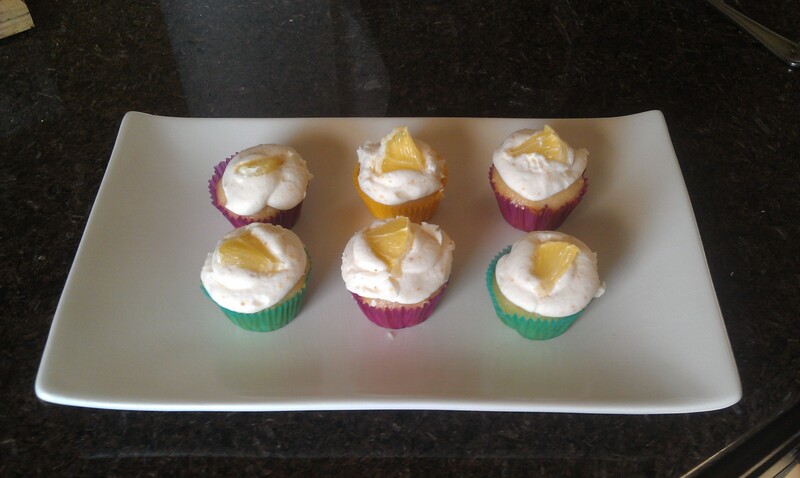 So I give you ginger and lemon… two of my favorite flavors with those dishes. Viognier is meant to be consumed young, and typically will lose its perfume as it ages in the bottle, so don’t hold on to this one too long – not that you’d want to – its yummy (that’s a technical term), open it now! 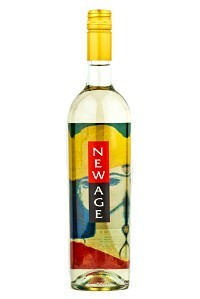 55% Chardonnay, 18% Gewurztraminer, 15% Sauvignon Blanc, 9% Viognier, and 3% Semillon. from South Eastern Australia. This wine is barreled in old oak and stainless steel, so that the oak mellows the edges of the wine, but does not impart huge amounts of oak flavor – and its aged for 2-5 years, depending on the varietal, then blended prior to bottling. This one will cellar for a few years, so be sure to give it some air before sipping. The YardDog made me think of fish, pork, chicken… white meat dinners on a summer day. So its paired with a sweetened cake (to balance the semillion and gewurtztriminer – traditionally sweeter wines) with basil icing – one of the herbs commonly used on summer white meat dishes. Steve Reeder partnered with Dave Matthews to create this wine. They wanted to bring the traditional Central Coast flavors of spice and big fruit to their Chardonnay. This wine was aged for 9 months in oak and stainless steel, so you will get American oak on the nose.. which will calm after getting some air. At 13.5 % this is not a heavy Chard, nor is it a fruit bomb… this is, with some air, a lovely dinner chardonnay. It reminds me of sipping white wine on the deck with fruit and cheese, so I give you fruit and cheese. If these pairings sound like fun, join us for our next public tasting on April 28 – tickets are available for the East Side tasting at The Wine Spot. 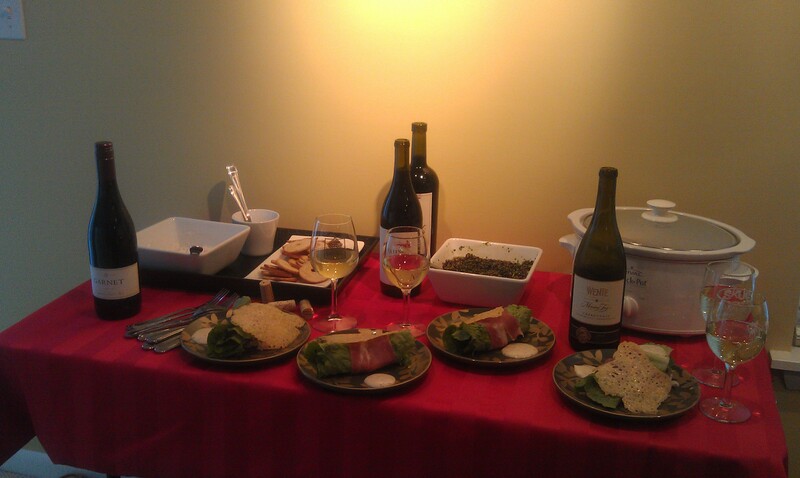 Or give me a call, and we can put together a private tasting for your friends, family, company or civic group! 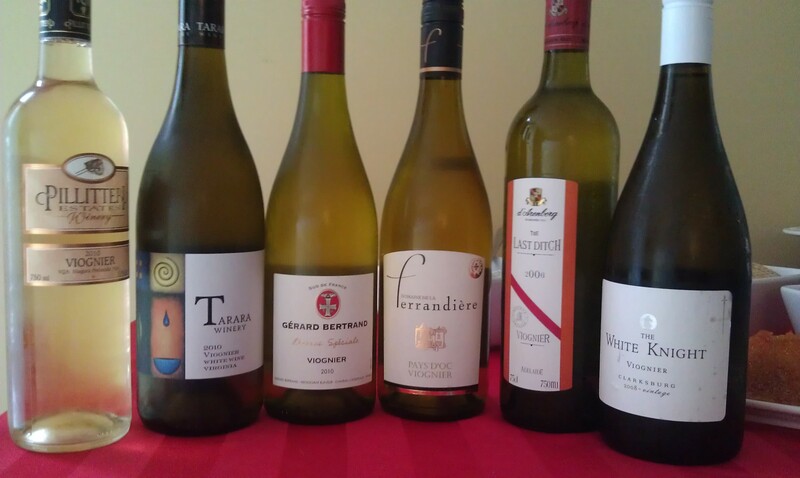 Posted in pairings, tasting notes, Wine and Cupcakes Notes and tagged Australia, California, Chardonnay, France, Germany, Riesling, Sparkling, Viognier, white wine, wine tasting. Bookmark the permalink.